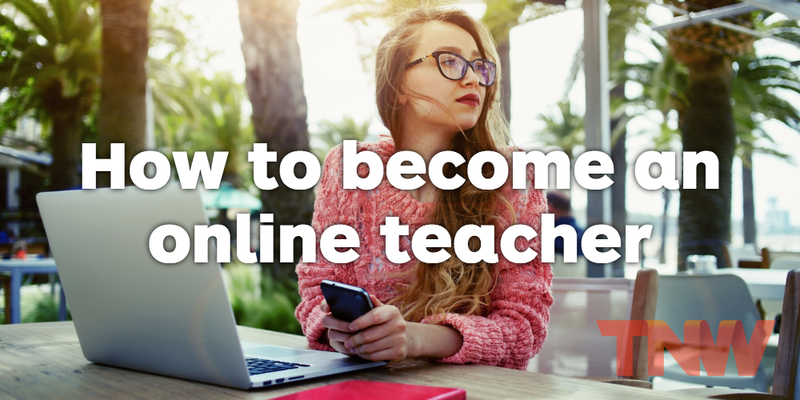 Don’t miss part one and part two of this series on becoming an online teacher. From organizing modules to creating videos, blog posts and PDFs for each lecture, it feels like a lot, and to be honest, it is. Staring at a blank Word Doc putting together my course outline was one thing, but consistently producing the content week over week for my Teachable (the company at which I work) course, that was a game of stamina. But in the thick of the process, surrounded by mic cords, scripts, post-it notes and three empty coffee cups, I found my stride. When I sat down to create content, I started thinking about the thing I liked to do the most: write. But then I realized, my audience doesn’t want to sit and read a novel about my topic, they want to see it and experience it. What that meant for me was that it was time to create videos. As someone who likes to hide behind impactful punctuation and black & white text, that did not sound appealing. On top of it, I didn’t know how to make videos. Sure, I know how to promote the crap out of them, but actually cutting, editing, exporting and embedding. Ehhhh. But the reality of content creation is that it’s not about you, it’s about your audience. Point blank. So, I got over it. I took to reading tips online and conferred with teammates about best practices to make quick, simple, engaging videos that put my course on pace for launch. In addition, I turned everything I learned about video editing into blog posts to share with Teachable’s audience of course creators via our online blog. So I did it! I created a video, I’m good to go, right? Wrong. That video was one piece of content in one lecture in one module in an entire course. I looked at the mountain of work in front of me and one thing came to mind: gross. It was time to take down the mountain. The best way I found to do this was breaking my course into small steps and set achievable deadlines around them. This worked well because my own method of course creation is based around providing a transformation to my audience. For my course, that’s how to go from ideation to first online sale. I broke down this process into what’s essentially a step-by-step how-to piece with each large step becoming a module of my course. I’ve set a deadline for myself of one module a week. These deadlines were not arbitrary, I hacked my own psychology. While that might be the tech-geekiest thing I’ve ever said, it’s true. I did a bit of research about deadlines and realized that the best way to get stuff done is to set rapidly approaching deadlines a week at a time that are aggressive, but doable. A big part of this is Parkinson’s Law, which states that a task expands to the time allotted. I actually first heard of this law while reading the Feminist Mystique in reference to household tasks, but it’s been repeated by content markers and growth hackers alike. Daily proof found every time I pack for vacation, which can take twenty minutes if my flight leaves in two hours or two days if my flight leaves at the end of the month. What this meant for my course, was that I needed to set hard deadlines and get. it. done. While I’m still working on the content of my course, I stumbled on another key concept that changed the content game for me. Creating content is hard. It’s so hard. Post after post, video on video and interview after interview, it’s exhausting. If you’re feeling that, please tell me. Since I’m a content marketer afterall, I started to use some of my favorite tips to make the course creation process easier on myself. Ann Handley is the gold standard for me. She co-authored Content Rules, which emphasizes the importance of repurposing and reusing your content. For example: an ebook has multiple chapters, each chapter can become a blog post, each H2 in your post can become a tweet, your blog intro becomes the newsletter. Efficient, right? I’ve started applying this to my course. I started reusing blog posts as scripts, using videos as course content. New material I broke into social posts and exciting intros as inspiration for launch emails. It’s sped up the process. And no, I don’t think this is a cheap shortcut. With my “extra-time” I’m creating additional resources for my students and increasing the quality of my course. That is, put simply, a very good thing. With these things in mind, I’ve been on a roll finding myself enjoying what I’m doing. While it’s work, I’m teaching something that I enjoy and that I see the benefits of producing quality work.